(e) Publicly available encryption source code. the EAR (see §734.3(b)(3) of the EAR). any product developed using the source code. 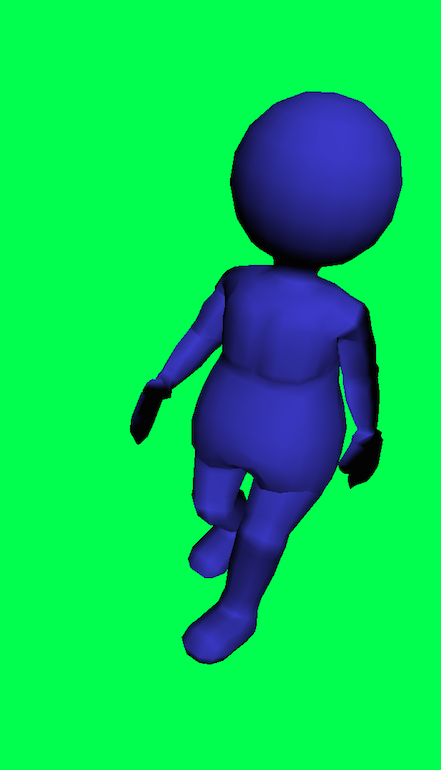 functionality of the source code is updated or modified. specified in §740.13(e) of the EAR. POINT OF CONTACT: K-Laboratory, KLab Inc.
'stone for iOS' is an iOS application. 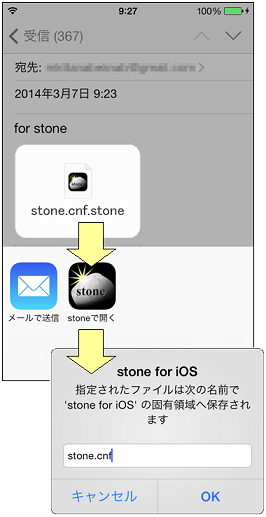 'stone for iOS' is an open source software. 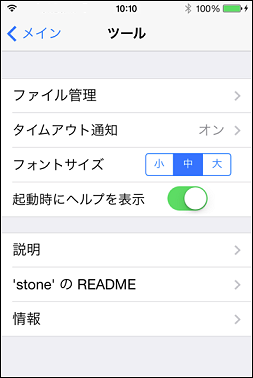 'stone for iOS' is a GUI version of the open source packet repeater 'stone'. 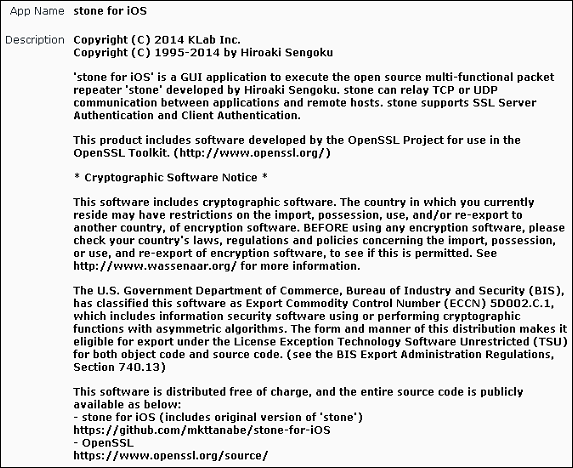 'stone for iOS' is static linked with the OpenSSL Library. 'stone for iOS' uses the OpenSSL functions. available in accordance with part 734 of the EAR. 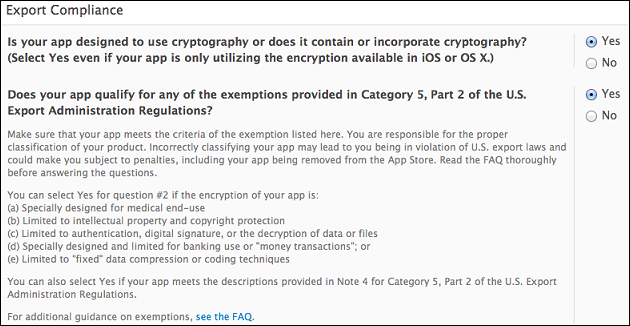 "This product includes cryptographic software..."
However, your app does not have Export Compliance, which does not comply with the iOS Developer Program License Agreement, as required by the App Store Review Guidelines. "You certify that (i) none of the Licensed Applications contains, uses or supports any data encryption or cryptographic functions; or (ii) in the event that any Licensed Application contains, uses or supports any such data encryption or cryptographic functionality, You will, upon request, provide Apple with a PDF copy of Your Encryption Registration Number (ERN), or export classification ruling (CCATS) issued by the United States Commerce Department, Bureau of Industry and Security and PDF copies of appropriate authorizations from other countries that mandate import authorizations for that Licensed Application, as required." Please review your app's encryption ability, and when resubmitting your binary, check the appropriate answers to the questions in the Export Compliance section of iTunes Connect. You may be asked some follow-on questions to determine the level of encryption in your app; you may also be asked to provide a copy of your CCATS. If you have questions related to export compliance and your app's use of encryption, please contact the App Store Export Compliance team at ▒░░▒░▒░@apple.com. "THIS SOFTWARE IS PROVIDED BY THE OpenSSL PROJECT ``AS IS'' AND ANY EXPRESSED OR IMPLIED WARRANTIES, INCLUDING, BUT NOT LIMITED TO, THE IMPLIED WARRANTIES OF MERCHANTABILITY AND FITNESS FOR A PARTICULAR PURPOSE ARE DISCLAIMED. IN NO EVENT SHALL THE OpenSSL PROJECT OR ITS CONTRIBUTORS BE LIABLE FOR ANY DIRECT, INDIRECT, INCIDENTAL, SPECIAL, EXEMPLARY, OR CONSEQUENTIAL DAMAGES (INCLUDING, BUT NOT LIMITED TO, PROCUREMENT OF SUBSTITUTE GOODS OR SERVICES; LOSS OF USE, DATA, OR PROFITS; OR BUSINESS INTERRUPTION) HOWEVER CAUSED AND ON ANY THEORY OF LIABILITY, WHETHER IN CONTRACT, STRICT LIABILITY, OR TORT (INCLUDING NEGLIGENCE OR OTHERWISE) ARISING IN ANY WAY OUT OF THE USE OF THIS SOFTWARE, EVEN IF ADVISED OF THE POSSIBILITY OF SUCH DAMAGE." 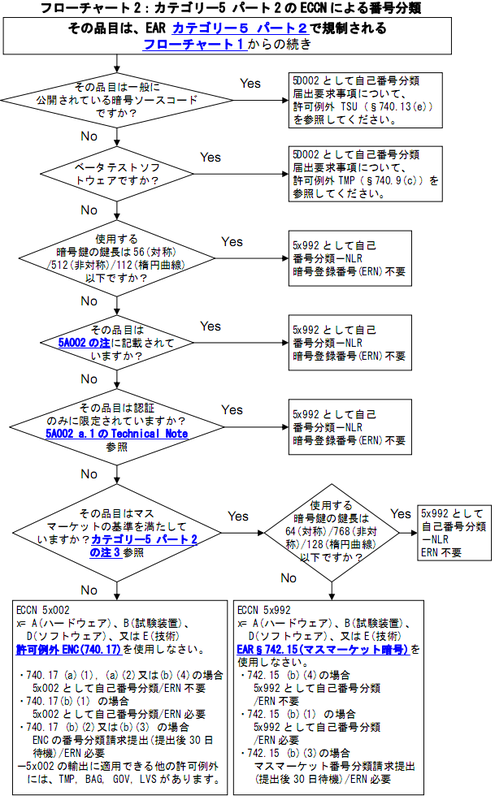 This software includes cryptographic software. The country in which you currently reside may have restrictions on the import, possession, use, and/or re-export to another country, of encryption software. BEFORE using any encryption software, please check your country's laws, regulations and policies concerning the import, possession, or use, and re-export of encryption software, to see if this is permitted. See http://www.wassenaar.org/ for more information.